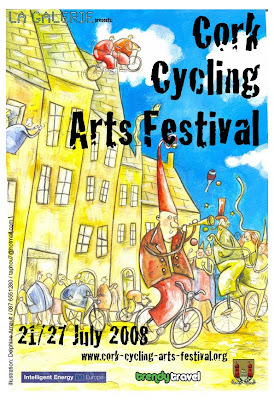 We pleased to do a bit of plugging for the upcoming Cork Cycling Arts Festival. It runs from the 21-27 July 2008 and it is great to see the city putting some resources into a festival to celebrate cycling. If anyone gets to the festival and gets some photos, be sure to let us know.